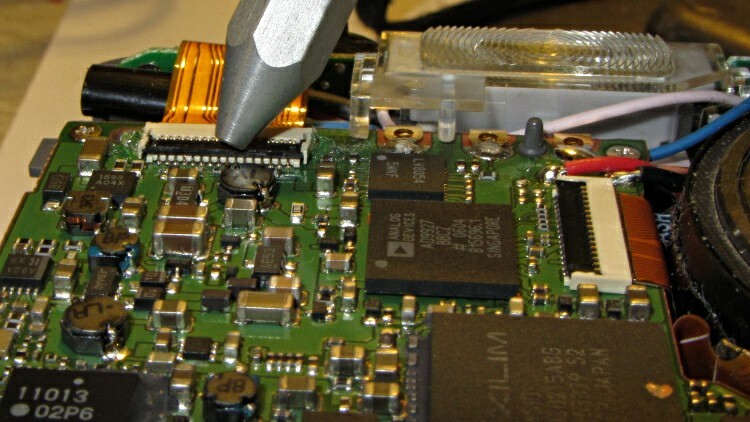 Casio EX-Z850 Camera Buttons Repaired! As described there, the buttons on the back of my pocket camera stopped working, but the obvious laying-on-of-hands repair (i.e., wiggling the cables) didn’t improve things. I later discovered out that two other buttons on the side that didn’t go through the same flex cable were also dead, which suggested that the common failure was on the CPU board deep inside the camera. I gave it to my Shop Assistant with some handwaving about how she could maybe fix it by delving deep inside, tracing the cables, and doing some jiggling: if she could fix it, she could have it. Fortunately, it charges in a cradle, so the main battery can remain in place indefinitely. We’ll replace that thing at some point. 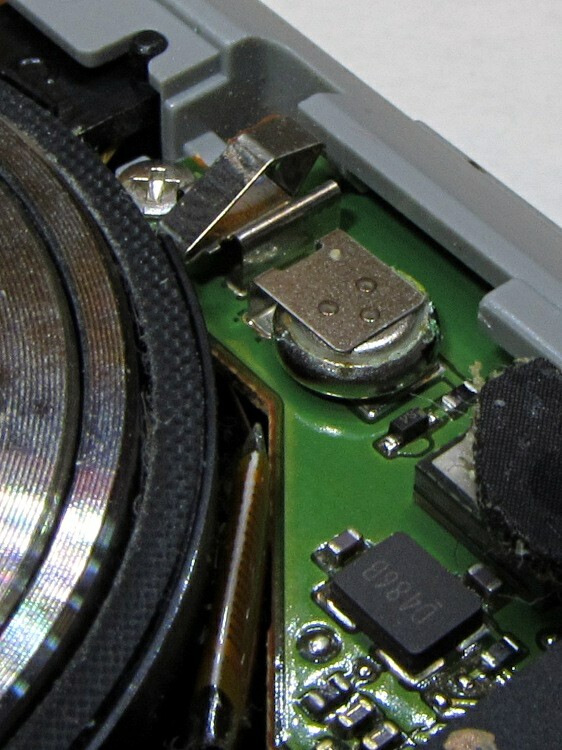 The CPU board has two flex cable connectors on the front surface and two on the back. My Shop Assistant released the clamps, removed the cables, wiped down the contacts with DeoxIT Red, gave it a test run with the covers off, and came bounding up the stairs as happy as I’ve ever seen her: the camera worked perfectly again! Not being used to these things, though, she managed to crack one of the side latches on the far connector. I’ll admit to doing exactly the same thing, so I knew how to fix it: a dab of acrylic adhesive holds the fragment in place with a bit of springiness to hold the latch down. 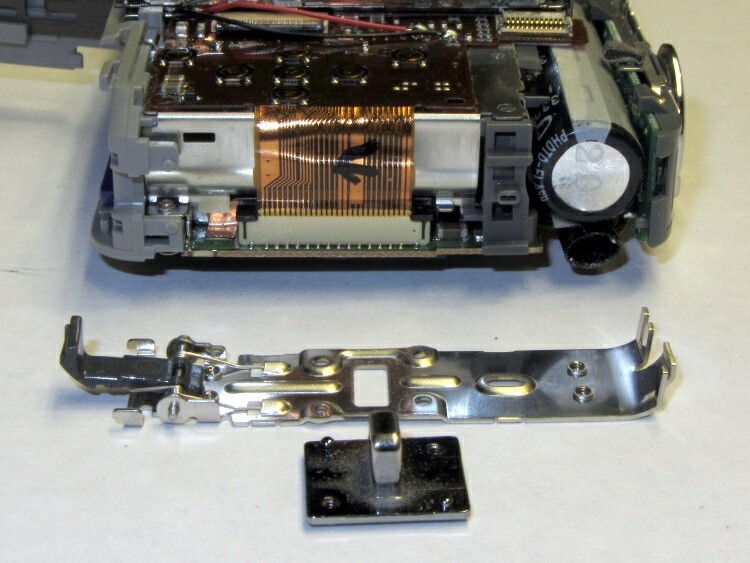 The connector in question comes from the flash control board, to which those other two buttons (Ex and Drive mode) connect. 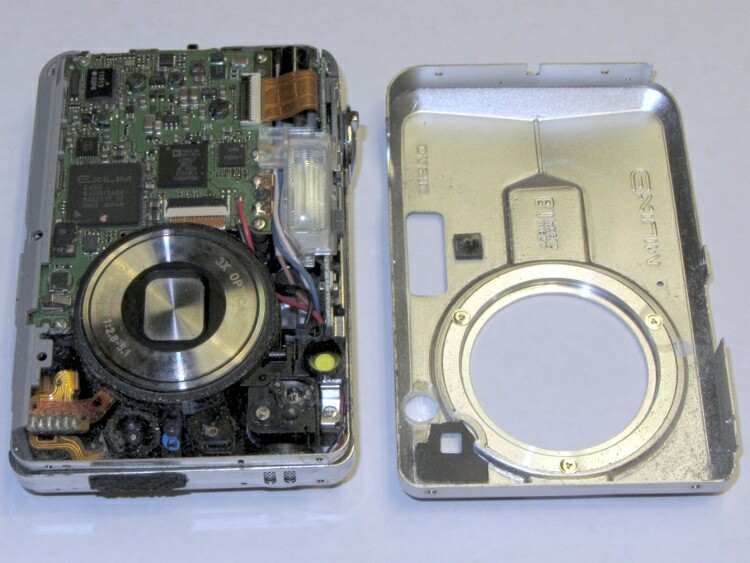 The inside of the camera is a maze of connections, so I guess that was the simplest way to get the conductors through the body. She reassembled the camera and it continued to work; we declared the job a complete success. Shortly after that, I promoted her from Shop Assistant to Larval Engineer, First Instar, and we installed her in her new socket at college, where that camera should come in handy for something. I think she’ll ace the Freshman Engineering Practicum, wherein her compadres will learn how to solder components to circuit boards, use multimeters & oscilloscopes & other instruments, and generally survive in a laboratory. Maybe she can wrangle a job as a Lab Assistant?